Caulfield Cup winner Jameka could compete in Europe this summer with the King George VI and Queen Elizabeth Stakes as her main target. The Australian mare is set to reappear on Saturday at Caulfield when the Group 1 CF Orr Stakes will be the first race in a 2017 programme that could include a trip to Europe incorporating Royal Ascot, the King George and possibly even the Prix de l'Arc de Triomphe. 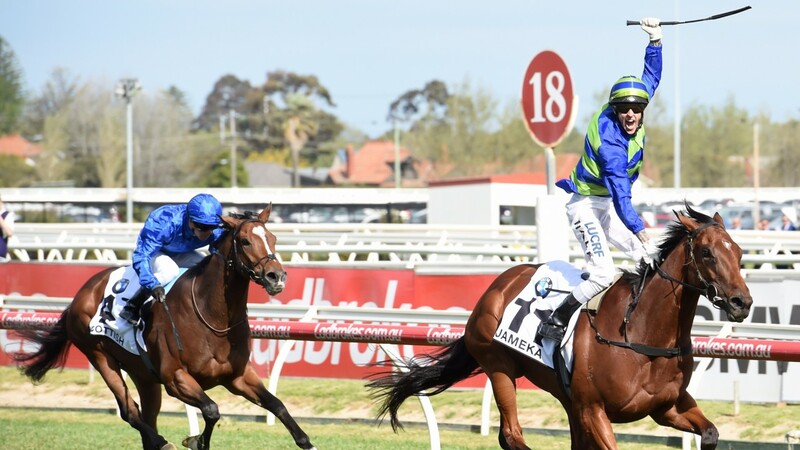 Jameka beat ex-Europeans Scottish and Exospheric when landing the 1m4f Caulfield Cup by three lengths last October before finishing 15th in the Melbourne Cup. Trainer Ciaron Maher told racing.com: "We've looked into racing at Royal Ascot, trying to have her right for the King George. There's a vast range of races over there [in Europe] in her best-distance range. "The Arc's at Chantilly, but whether she's up to that or not, we'll have to see how her form is, and whether she even goes or not. She may even stay here for the spring, and maybe the Vase in Hong Kong, so there are plenty of options for her." He added: "It [travel] is something we've always wanted to do. The connections are on board. Everything would have to be right to take her. You want to go over there to be competitive; you don't just want to go over there just to compete." The Hardwicke Stakes, won by the Queen's Dartmouth before she finished third in the King George, could be an ideal prep race for Jameka but Ascot director of racing and communications Nick Smith said he will discuss options with Maher when he flies to Melbourne next week on another recruiting trip. “I've arranged to meet him in Melbourne next week and will be suggesting he looks at the Hardwicke Stakes as that's a no-penalty Group 2 over the King George course and distance," he said.